CHARACTERISTICS: •	Wine made from Merlot grapes (100%). The nose is dominated by a winy, intense and a little grassy characteristic of this grape, delicate and varied. 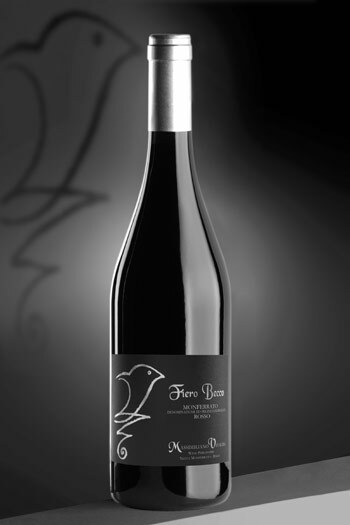 The palate is rich and full bodied, where acidity and soft well balanced, slightly spicy with an ending. The color is ruby red, tending to garnet with aging. The flavor and 'dry, sweet, tangy, robust, full-bodied tannic but very harmonious. FERMENTATION: 8/10 days in contac with the skins at 25° C.
MINIMUM ALCOHOL: 14,0 % vol.